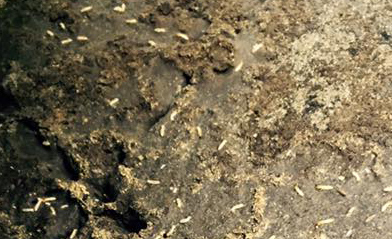 Termites live in colonies (located in either below ground or in wood) that can grow to large numbers. 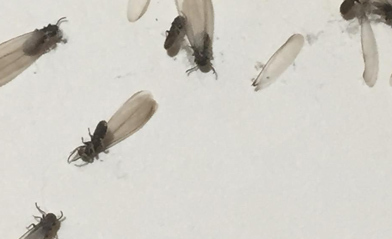 Colonies are comprised of workers, soldiers and swarmers. They continuously and randomly forage and will penetrate a home in search of food (cellulose). 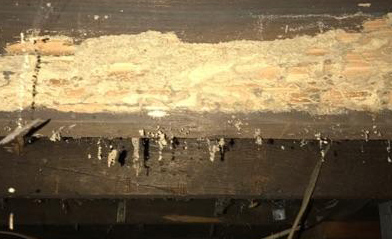 A termite will enter a home through small cracks (1/64th of an inch) in roofs, tiling, foundations, and walls. 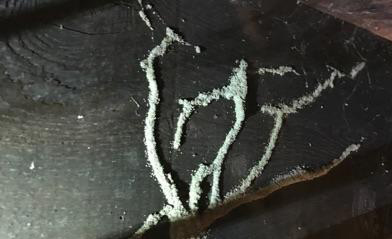 Their colonies vary from a few hundred to a several thousands, causing significant damage to the structure they’re infesting. 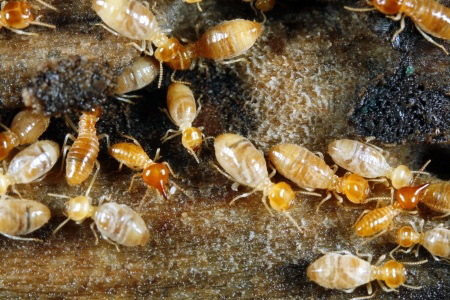 Deter termites by removing rotting stumps from your yard, storing firewood away from your house, and eliminating moisture sources in and around your home. 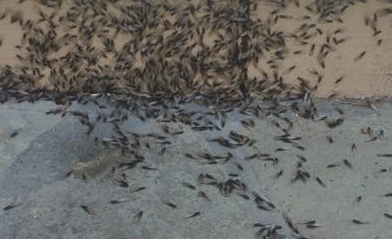 In the spring, termites begin to swarm. 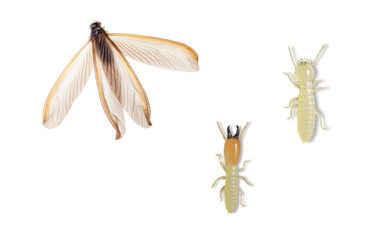 If you see termites swarming, it’s a sign your home is infested. 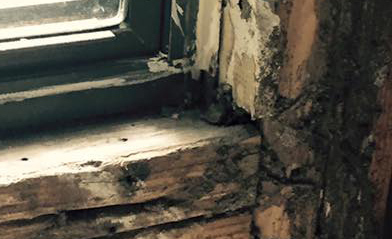 Immediately set up a professional termite inspection.